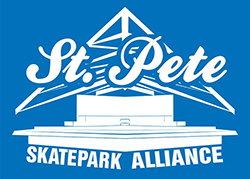 Skatepark of Tampa Road Trip to Miami. Frank Branca is absolutley killing it with these Franks For Nothing edits. The latest installment features Abdias Rivera, Jereme Knibbs and Sam Bellipanni killing some street spots in Lakeland, FL. Check out some photos of the adventure here. In the latest episode of Franks for Nothing, Sean Conover, Keith Gibbs, and John Stowe hit some good ‘ole crusty spots in Gainesville, FL while dodging the impending rain. The newest SPoT On from the Skatepark of Tampa features Big Bad Jon Sciano.